Want to have the best job ever? Do you already have a passion for agriculture that you want to share with others? 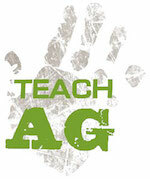 Have you considered being an ag teacher? Ag teachers never have the same day twice. 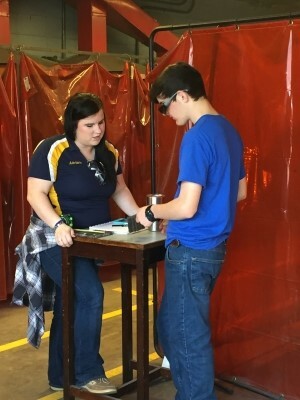 One day they might be in a classroom or laboratory, the next visiting students in the field, preparing teams for a FFA Career Development Event, or leading a community service activity with their FFA Chapter. Agricultural educators are often on extended contracts, which mean they get paid during the summer months and have the potential to earn a significantly higher salary than other teachers. Agricultural education prepares students to be problem solvers, leaders, entrepreneurs and agriculturalists through the use of its three-circle model. Classroom and laboratory instruction, leadership development, and experiential learning all combine to offer students a well-rounded education that will prepare them for college and the workforce, as well as teach them how to be educated consumers. OTHER THAN TEACHING, WHAT ELSE CAN I DO WITH AN AGRICULTURAL EDUCATION DEGREE? The sky is truly the limit with an ag education degree. While most graduates work in schools or postsecondary settings, many go on to pursue careers in other areas. Ag education majors have a background in communications, agriculture, leadership, and human relations, which prepares them for a multitude of career options. Ag education graduates are employed in every field across the world, from government positions to business and industry. Even George Strait majored in ag education. HOW DO YOU BECOME AN AGRICULTURAL SCIENCE TEACHER? To become an agricultural science teacher, you have to attend a four-year institution and major in agricultural education (or the equivalent degree at that particular university), in order to be licensed to teach in your state. Some states may have additional requirements. Contact the Louisiana institutions below for more information. Apply for scholarships and read up on helpful tips to attain them. Nominate a student to become an agricultural educator by clicking here.